Confused about investing in your future? Learn the best ways to utilize 401(k) plans and IRAs with help from MONEY Master the Game. 1. SHOULD I PARTICIPATE IN MY 401(k)? Just to be clear, if you check the box to make your contributions Roth-eligible, you will still be investing in the same investment options (or list of funds), with the only difference being that you will pay taxes on the income today. But your future nest egg will be completely tax free when you withdraw. If you are one of the few that thinks taxes in future will be lower, you could be in for a huge surprise. “Conventional wisdom” says we should be in a lower tax bracket when it comes time to retire, as we won’t be earning as much. But in reality, our home is often paid off (so we don’t have any mortgage deductions), and the kids are long gone (so we don’t have any dependents). Finally, you might be self-employed and think that all this 401(k) talk is irrelevant. Not so! You can start a Solo 401(k), which is a 401(k) for an individual business owner and his or her spouse. 2. 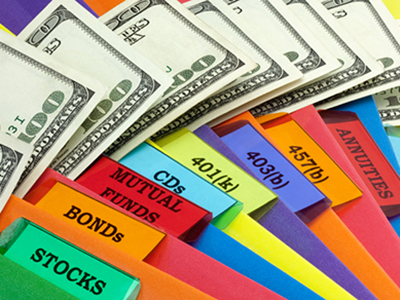 WHAT IS A ROTH 401(k), AND HOW CAN I USE IT TO MY ADVANTAGE? I said it before, but it’s worth repeating: most of today’s 401(k) plans allow you to simply “check a box,” and your contributions will receive the Roth tax treatment. This decision means you pay tax today, but you never pay tax again! 3. SHOULD I SET UP A ROTH IRA? Yes!! You can set up a Roth IRA account and contribute $5,500 per year ($6,500 if you’re 50 or older). You can even do so if you are already maxing out your 401(k) contributions. Opening a Roth IRA is as simple as opening a bank account. TD Ameritrade, Fidelity, and Schwab are three firms that make the process incredibly simple. You can do it online in less than ten minutes. 4. BUT WHAT IF I MAKE TOO MUCH MONEY FOR A ROTH IRA? Sadly, you cannot contribute to a Roth IRA if your annual income is over $114,000 as an individual or more than $191,000 for a married couple (for 2014). But don’t fret, regardless of how much you make, you can still participate in a Roth 401(k). And if you have an IRA, you might want to consider converting your IRA into a Roth IRA, but know that you will have to pay tax today on all the gains. 5. SHOULD I CONVERT MY TRADITIONAL IRA TO A ROTH IRA? Let’s say you have an IRA with $10,000. The government will allow you to pay the tax today (because it needs the money), and you will never have to pay tax again. This process is called a Roth conversion. So if you are in the 40% bracket, you would pay $4,000 today, and your remaining $6,000 will grow without tax, and all withdrawals will be tax free. Some people cringe at the idea of paying tax today because they view it as “their” money. It’s not! It’s the government’s. By paying the tax today, you are giving Uncle Sam his money back earlier. And by doing so, you are protecting yourself and your nest egg from taxes being higher in the future. If you don’t think taxes will be higher, you shouldn’t convert. You have to decide, but all evidence points to the hard fact that Washington will need more tax revenue, and the biggest well to dip into is the trillions in retirement accounts. 6. WHAT ABOUT MY OLD 401(k) PLAN(S) WITH PAST EMPLOYERS? Older plans can either be left with a previous employer or “rolled over” into an IRA. One would leave it with an old employer only if the plan itself was low cost and had favorable investment options. By rolling over the plan into an IRA (it takes about ten minutes online to move the funds from your former plan to a third-party IRA custodian like TD Ameritrade, Schwab, or Fidelity), you will have greater control. You can invest in nearly any investment, not just a limited menu it offers. And with this great control, you will be able to hire a fiduciary advisor. With a fiduciary advisor, you don’t pay commissions. You pay for advice. And it’s typically 1% or less of your invested assets, and remember, you might be able to deduct it from your taxes. Second, by rolling over your old 401(k) into an IRA, you will then have the option to convert an IRA into a Roth IRA. 7. WHAT ELSE CAN I DO IF I AM MAXING OUT MY PLANS AND WOULD LIKE ADDITIONAL OPTIONS TO SAVE? Small business owners that are making a lot of money and want to reduce their taxes today can benefit greatly from the addition of a cash-balance plan on top of their 401(k) plan. Cash-balance (CB) plans are the fastest growing of the defined benefit pension plans and could overtake 401(k) plans within the next few years, according to researchers at Sage Advisory Services, a registered investment advisory firm headquartered in Austin, Texas. In fact, over one third of Fortune 100 companies have adopted a cash-balance plan. So what is it? A cash-balance plan is basically a pension plan. In other words, the amounts deposited are earmarked to provide the business owner with future retirement income. So what’s the biggest draw? For a high-income business owner, not only can she max out her 401(k) and a profit-sharing plan, but she can also add a cash-balance plan, which creates some very large, fully deductible contributions.